I specialize in newborn portrait art and serve the Southeast Michigan area and beyond. During my career, I have had the privilege of working with several celebrities as well as having my work published in The Bump. 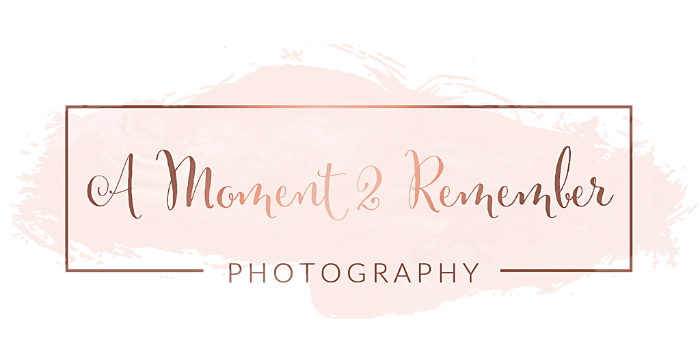 In addition to my passion for newborn photography, I also enjoy photographing babies, children, maternity, birth, and family sessions. I have become known for my bright vivid colors and my crisp images. I also possess the ability to transform an average image taken by the camera into a true piece of art. I like to capture the little moments in life that slip by in the blink of an eye. I love being able to create something tangible for my clients to hold onto for many years to come. My goal is to capture moments you will cherish for a lifetime. In early 2010 I got the harebrained idea to become a newborn and baby photographer. I thought, "I will buy a really expensive professional camera and I will take the world by storm as this amazing newborn photographer. Easy peasy lemon squeezy". Yeah, not so much. I did buy that professional camera and I raced out to photograph my first session. I wish I could report that I "NAILED IT! ", but it was a disaster of epic proportions. I thought, this can't be right. What are the amazing photographers doing to get such beautiful pictures??? The light bulb went off in my brain and the alarms sounded; Photoshop! It MUST BE the Photoshop. Fast forward to trying to edit that first session with my newly purchased full version of CS4 and I can still hear crystal clear the resonating sound of "wa wa waaaa!" Disaster. HUGE DISASTER. We are talking The Titanic hitting the iceberg disaster. Why? Why was my fancy camera and Photoshop failing me. Well, in simple terms, I wouldn't run out and buy an expensive set of golf clubs and expect to be Tiger Woods. Same philosophy applies to photography. While the equipment helps, it is the talent and skill of the person that dictates the quality of the work. I am not sure how I missed that memo when my "great idea" was beating down my door, but eventually that message came through loud and clear. From that moment on I vowed to do everything humanly possible to be the best of the best. I wanted to be Anne Geddes good, and I wasn't going to stop until I was. For the next 2-3 years, I spent countless hours reading everything I could get my hands on, practicing, researching online, practicing, learning my camera inside and out, practicing, learning Photoshop inside and out, practicing, watching videos and tutorials, practicing, taking workshops and online webinars...did I mention practicing? Then finally one day, something funny happened, I started to notice a huge improvement in the quality of my work. And guess what? So did other people. I started having industry "celebrities" recognize my work as something they liked and enjoyed. I started to be considered one of the best in the industry by industry professionals that I looked up to and idolized. My work began to win awards and get published. I started getting celebrity clients. Most recently, my work was featured in The Bump, a national publication for expecting parents! How cool is that?! It was and always will be my ultimate goal to be (and continue to be) in the top percent of the elite professional photographers. I want to give my clients a one of a kind, jaw dropping, awe inspiring experience when they hire me. I want to give them beautiful and breathtaking art products with their families portraits printed on them. I will never stop trying to outdo myself. I will always continue to try to be the best me that I can be; to offer my clients the best experience, the best products, and the most beautiful portraiture they have ever had or will ever have. Combined with all of that, I have several very strong beliefs about life and business. I believe in kindness and manors. I believe in treating people with respect. I believe in making people smile and making them happy. I believe in hard work and dedication. I believe in family and friendship. I believe in products and services that have quality and longevity. I believe in giving people exceptional customer service. I love what I do and I love my clients. I try to take all of the above philosophies and implement them into each and every one of my sessions. Each time a client hires me they can rest easy knowing their memories are in good hands. I promise I will by far surpass your expectations. I can't wait for the opportunity to blow your mind and make your heart soar!